Amie (second left) is shown near Tyler and Catelynn. Kail and Javi are in the back row. 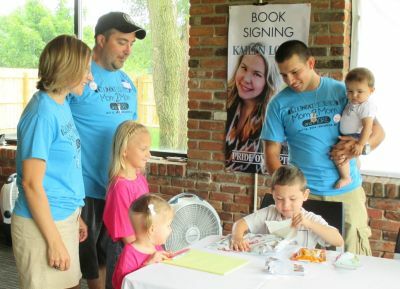 Last weekend, Teen Mom stars Catelynn Lowell and Tyler Baltierra teamed up with Teen Mom 2 stars Kail Lowry and Javi Marroquin to put on a charity event that raised nearly $2,500 for a little girl battling a rare form of cancer. The event ended up raising almost $2,500, and was more successful than anyone expected! Kail said that she and the other ‘Teen Mom’ stars wanted to help with this event because they wanted to use the fame the show has given them in a positive way. “I would have never imagined that the show would give us these kinds of opportunities to help other families beyond teen pregnancy prevention,” Kail said. 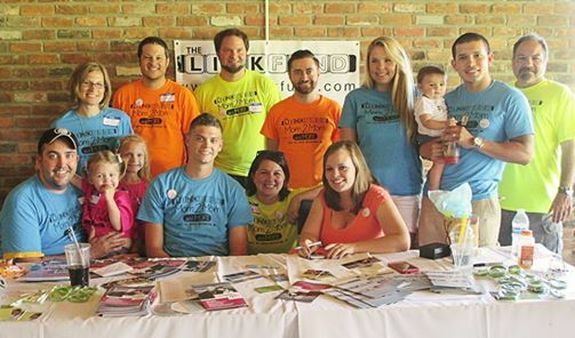 According to Ashley Haponek, who runs The LinkFund, the ‘Teen Mom’ crew was wonderful to work with. Amie, shown in front, did crafts with Kail’s son, Isaac. Kail said that the event was so successful that she and Javi are already talking to Catelynn and Tyler about doing another meet-and-greet. Ashley of The LinkFund said that all of the hard work putting this event together was worth it because it helped Amie and her family. The ‘Teen Mom’ girls have long been criticized for glamorizing teen pregnancy, and Kail said she hopes that critics will see the positive things that some of the show’s stars are trying to do with their fame. To read more about Amie’s story, or to donate, click here. Sometimes donating time is way more valuable than money. Hate to sound like an asshat but $2500? Or $625 from each ‘star’? That’s pocket change to these four. I make half of what they make and I alone can/do donate more than $2000 to charitable causes every year. Cool story but not really all that impressed.